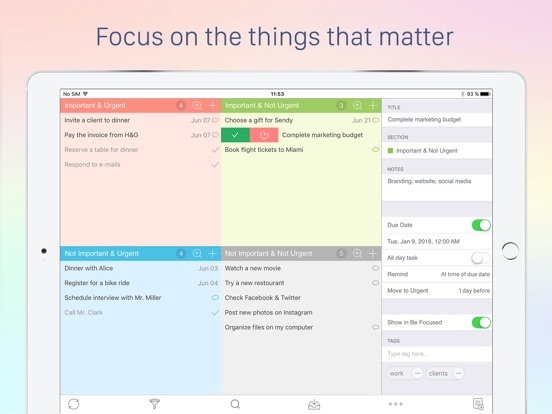 Focus Matrix is a smart personal organizer based on the so-called Eisenhower box, a personal productivity strategy created by Dwight Eisenhower, the 34th President of the United States. 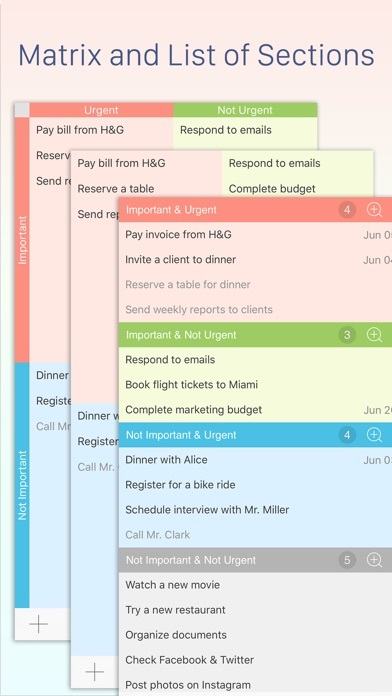 The principle uses a special priority matrix that helps break your tasks into several groups depending on their urgency and importance, and work your way through your daily agenda in the most efficient way possible. 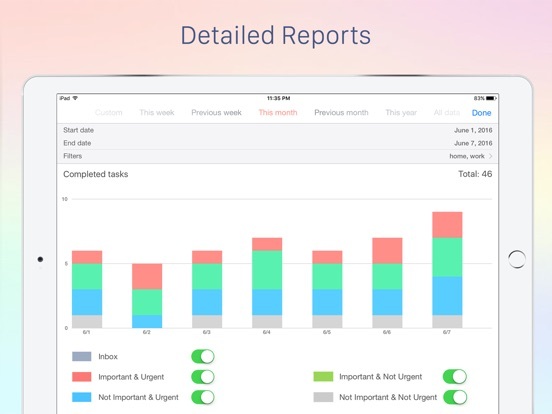 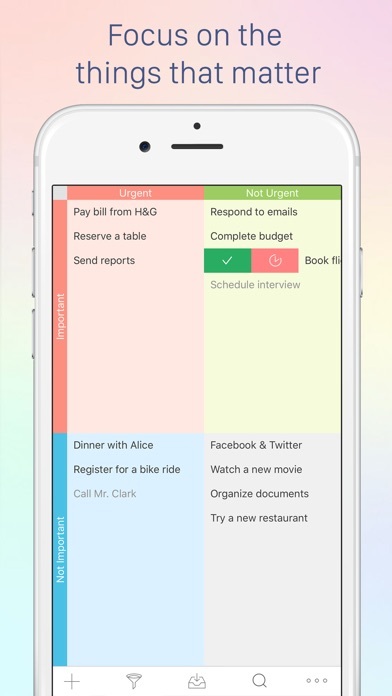 This app will help you focus on what really matters, and get rid of the things that can be painlessly delegated to others or postponed indefinitely until you have time for them. 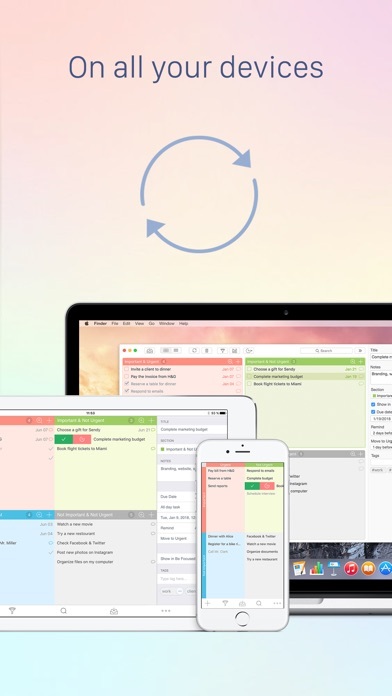 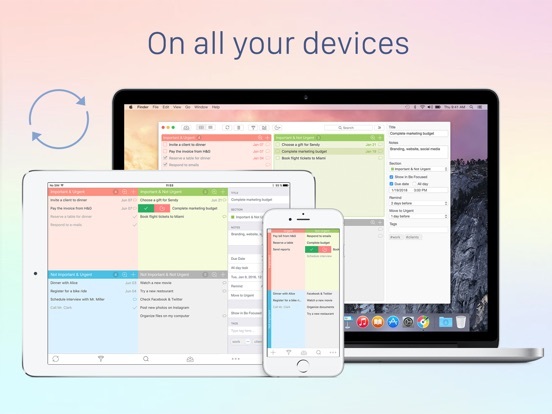 * Sync with Mac requires Focus Matrix for macOS, sold separately. 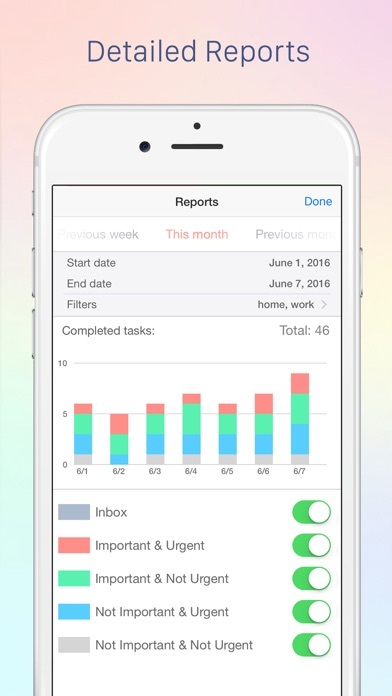 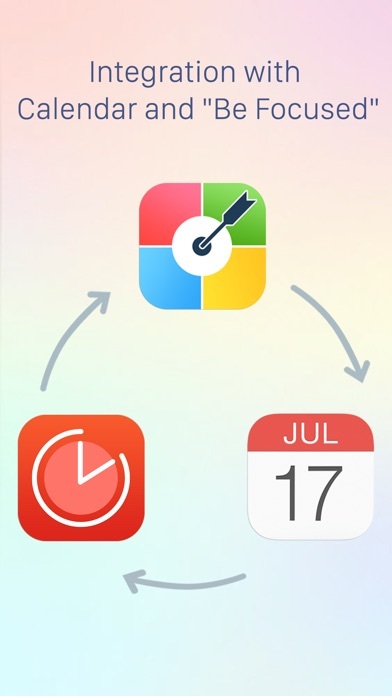 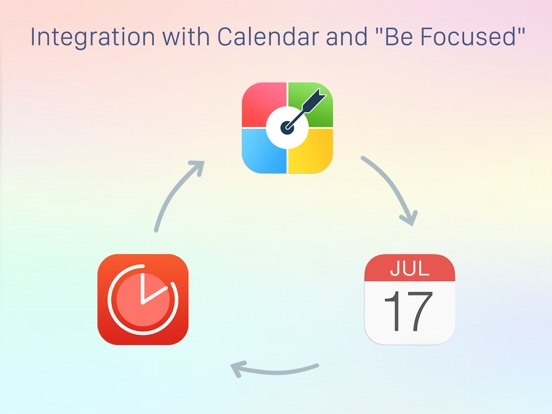 ** Be Focused helps you get things done by breaking up individual tasks among discrete intervals. 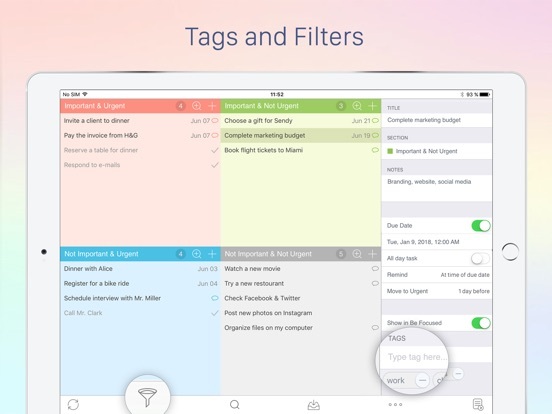 It’s available for Mac and iOS devices in App Store.